That was the question asked and answered by Dave Prentis at a ceremony to mark the 20th birthday of the NHS Credit Union in Glasgow this afternoon. The credit union has more than 17,000 members across Scotland and northern England. Since it opened its doors as the Glasgow NHS Employees Credit Union in November 1998, it has helped tens of thousands of health service workers, making over 73,000 loans with a value of £83m. 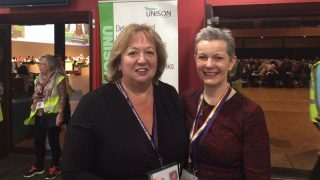 The UNISON general secretary noted that this year has also seen the 25th anniversary of UNISON and the 70th birthday of the NHS as well as the credit union’s 20th anniversary. “The histories of the three are intertwined,” said Mr Prentis. “When the NHS Credit Union was founded in 1998, it was the brainchild of Robert Rae. 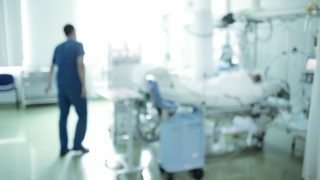 “At the time, Robert was an NHS worker and a UNISON branch secretary. Today, he works as a UNISON organiser. Mr Rae was a union branch secretary at Glasgow’s Southern General Hospital at the time. He recalled: “I used our position as the largest trade union to push the employer to support the establishment of a credit union. 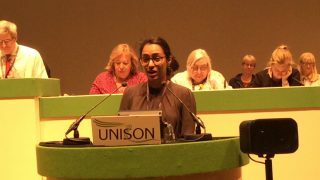 “Given my job as an ancillary worker and branch secretary, I could see the amount of staff that were in debt to money lenders,” both legal and illegal. After 18 months of “pushing and cajoling” the credit union was set up, “with no money, no members, no staff and no premises.” It took its first deposit in November 1998 and has since spread and grown to what it is today. 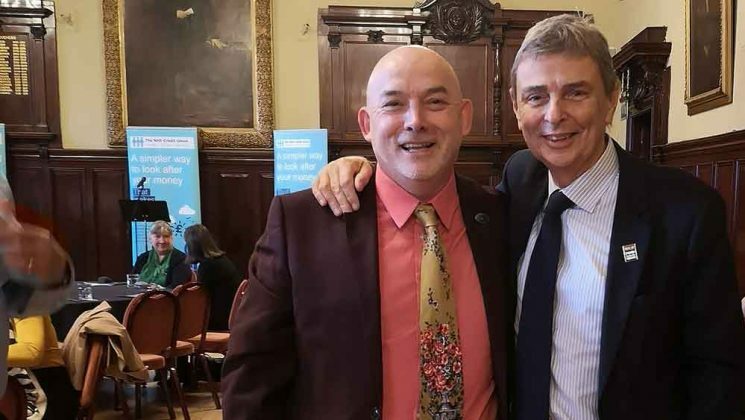 Speaking to the members celebrating its success at Glasgow Trades Hall this afternoon, Dave Prentis concluded: “On behalf of UNISON and our 1.3 million members, thank you for all that this credit union has done for UNISON members working in the NHS. Check our easy to use benefits calculator to find out if you could be entitled to claim additional benefits.